Redmatchstick.com is Suze Bouwer’s online office. An office from which she is able to Transfer her Knowledge to help Small Business Owners and Managers do better Modern Marketing. You can expect a unique mix of practical, tried and tested traditional marketing tactics which are turbo-boosted by the modern day tricks and tips best suited to benefit small companies in the hospitality, leisure and travel industries. If you are wanting to do more by yourself, then you’re probably somewhat stumped by the plethora of information available online in e-books, videos, tutorials, webinars, live events, seminars and conferences and so it’s not easy to know where to begin, let alone find the time. Or, you may be one of those rare people that are committed to ongoing learning but you may have found that the challenge comes with “implementation”. So, your new skills got you all inspired and motivated but with the best of intentions, days become weeks and weeks become months and you are still doing the same old, right? Well, by partnering with RedMatchstick, you have at your disposal an inspired and passionate coach who will not only deliver; but will help drive you, your business and your team. Implementation and getting results is what we do! To share all the knowledge and experiences we have been blessed with; to help others enjoy their work, grow their businesses, create employment, serve with honesty and passion and to take great care of those they serve professionally and personally. 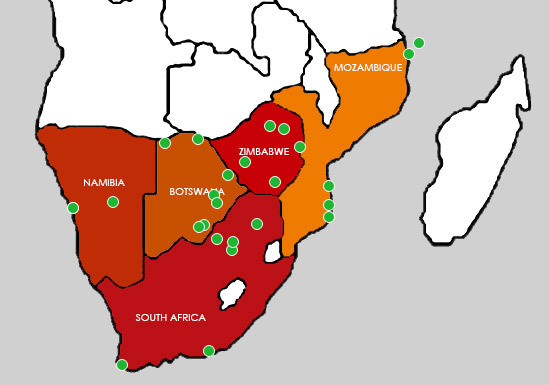 You get to benefit from our work in travel, hospitality and leisure across the Southern Africa region over the past 30 years in South Africa, Mozambique, Namibia, Botswana, and Zimbabwe. To provide our customers, clients and other stakeholders with a consistently good, professional but authentic experience, and having fun every single day while making a difference! “Marketing takes a day to learn. If you want to LEARN HOW to do your own marketing, save time and money, then you are at the right place. Suze Bouwer spent many years gaining valuable ‘Big Business’ experience and then, when finally jumping off the corporate treadmill, learned all about doing more with less. Now, she is fired up about passing on those skills to help other small businesses succeed!